Discussion in 'Winner Stories - Online Gambling Winners!' started by Marina, Sep 27, 2014. It’s always exciting to hear about people who have won big in online gambling. Perhaps it’s the rush of excitement the story brings or the “It could be me” feeling it inspires. Unlike land-based casinos, it’s possible to check out the lucky site and have a go at the game yourself. 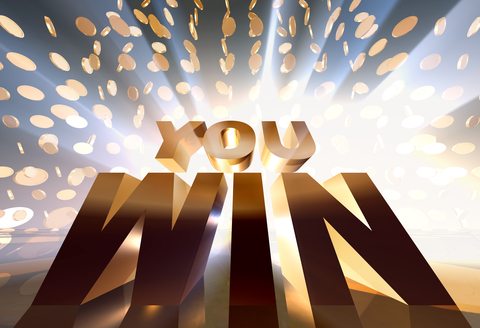 Here are the stories of a few of the biggest wins in online casino history. Whether you chose to live vicariously or see if you have some luck with the same sites and games is up to you. and has wild symbols, scatters, free spins and multipliers, plus has a progressive jackpot. while playing Mega Fortune. Put out by the software developer NetEnt, Mega Fortune is a 3-reel, 25-payline online slot with a luxury and glamour theme. In November 2012 another player from Finland won 8.6 Million Euros at PAF playing Arabian Nights, another jackpot slot from Net Entertainment. Hall of Gods is another progressive online jackpot slot from NetEnt, in May 2014 a Betsson Player won 7.3 Million Euros Hall of Gods Jackpot. In 2008 Klaus E. from Finland won the Mega Moolah Jackpot at BlackJack Ballroom Casino, a member of the CasinoRewards Group. In May of 2009, a little over 6.3 Million Euros from this progressive jackpot was collected by Georgios M., a Greek gamer who was playing on River Belle Online Casino’s website. This was surpassed in December of 2012 by a £5.88 million win. It was grabbed by a UK man playing Microgaming’s Batman-themed Dark Knight online slot on ButlersBingo. player using the name Isildur1, resulted in a 1.3 million-dollar win for him. by the casino, but he’s likely to take home the number-one spot in another decade or so. After all, in 2010, when he otherwise might have collected, he was just eight years old. It is a bit difficult to find and verify winners of online casino games. Each software company wants to claim their program is best and each casino jumps at the chance for its ten-minutes of fame. noted here and, aside from largest overall win, no sources refute the others that are listed. return-to-player percentage of each game and select one with the highest. However, there is no indication these winners did any of that. There is no rhyme or reason behind these winnings. Mr. Antonius, the poker winner, was the only professional out of the group of millionaires. For some, their decision to play that day was a whim. For others, it was their first try at a particular casino. Regardless of the scenario, it seems as if all but Mr. Antonius were simply lucky on the day they played. With that said, if you’re trying to duplicate an experience and become an online-casino millionaire as these folks have, your best bet is Progressive Slot from Microgaming or Net Entertainment. Moreover, the luckiest slot games appear to be Arabian Nights, Hall of Gods, Mega Fortune and Mega Moolah. Then again, if luck is on your side, it won’t matter which site or game you head to. Those are some incredible winnings from online. I couldn't even imagine hitting an amount like that. Just love to read that stuff. Some of our members, including staff have had some great winnings as well. So I do know it's real. Very cool post about these amazing slots winners! I know about the other winners, but not the mobile one. Imagine you are in a train or something and playing on your mobile phone. Suddenly boom 3 million wow!